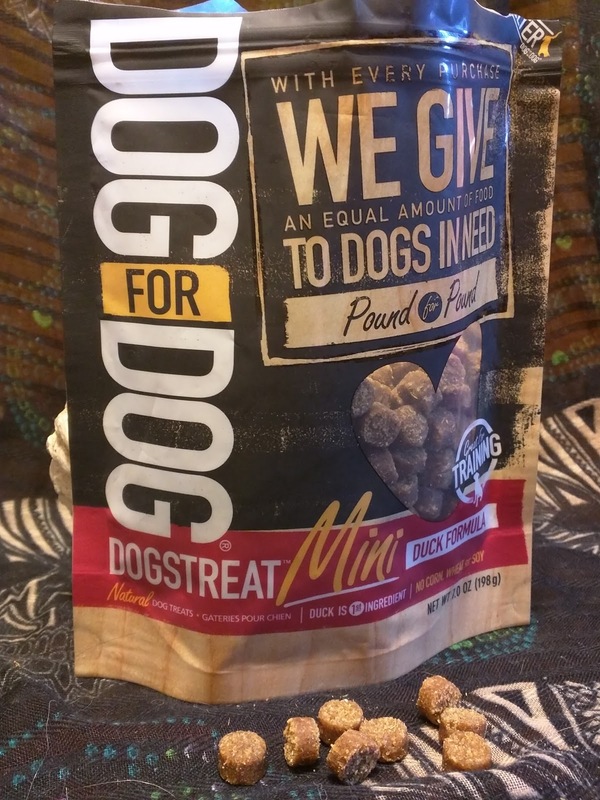 Dog for Dog makes their soft and chewy Dogstreat Minis in duck and peanut butter flavors. These little nuggets are a nice size for training treats. I like this company because they donate an equal amount of food to shelters when you buy their products. 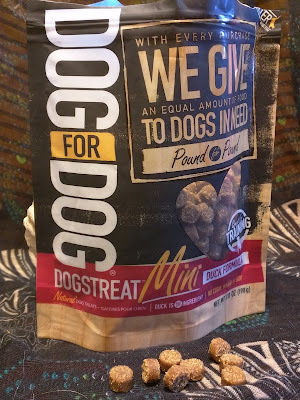 We haven't tried any of their dog food yet, but these treats are nice. I like to give Ru a few of these when I have to leave him behind to take the girls out to do real dog stuff.